The growth in energy consumption is a response to the country’s economic expansion, industrialization, and change in the people’s lifestyle. Egypt was once an exporter of oil and gas, but now it is struggling to meet its own energy needs. Although all energy forms have been subject to rather high growth, it is the use of electricity that has caused serious concern about the power sector’s fuel mix, heavier reliance on fuel oil, and an unaffordable burden on the government budget. So the government is determined to diversify the energy mix and to improve the efficiency of electricity consumption. It is also recognized that energy diversification and efficiency can impart other benefits such as a cleaner environment, transfer of advanced technologies, and possible new areas of manufacturing and services. The AfDB’s report “Clean Energy Development in Egypt” reviews the opportunities and challenges involved in improving energy efficiency, developing renewable energy resources and promoting the local manufacturing of the corresponding equipment in Egypt. The international experience indicates that the three subjects are intertwined and that there are four pre-requisites for their success: (i) a clear strategy; (ii) a proper institutional framework; (iii) a well-designed incentive system; and (iv) a suitable set of financing instruments. Egypt has serious shortcomings in all of these four areas. Renewable Energy Development has been a priority over recent years. Egypt’s present energy strategy (the resolution adopted by the Supreme Council of Energy in February 2008) aims at increasing the share of renewable energy to 20 percent of the energy mix by 2020. 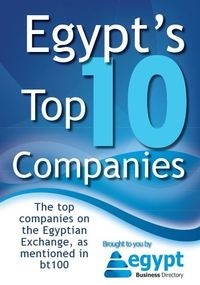 Local manufacturing and services could be further developed in Egypt. The private sector in Egypt has shown a lot of interest in the energy related manufacturing and services. The wind industry has had a good start but solar manufacturing has not developed. The government has been supportive of the development of local manufacturing capacity in the renewable energy industry. However, the support has been ad hoc in nature. Going forward, the local industry would need a clearly announced support mechanism from the government. To further support this sector the report recommends the following actions: the setting up of a clear institutional arrangement; the establishment of a well-designed incentive system; the launching of a research and development program, the development of human resources and the adoption of a strategic approach to international collaboration. The report concludes that Egypt would need substantial technical assistance order to establish a clean energy industry but could quickly position itself as a leader on the continent with the capacity to export its experience and services.